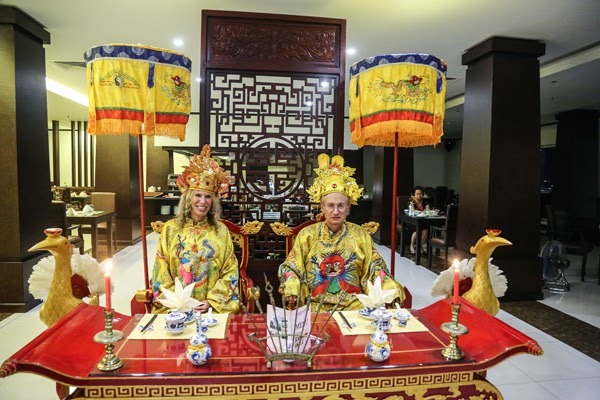 Barbara and I dressed as Empress and Emperor before our seven-course meal at the Camillia Hotel, Hué (Vietnam). Photos by Joel Simpson. 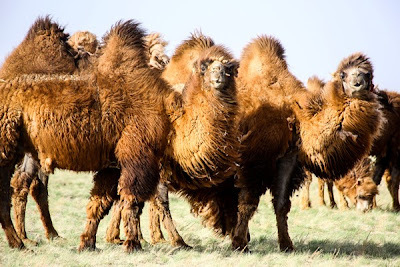 Bactrian (two-humped) camels in Mongolia's Gobi Desert. 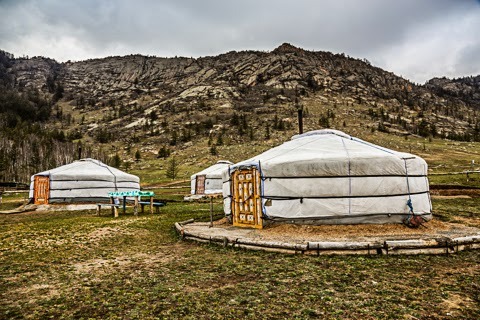 Yurts at Terelj, Mongolia, including the one Barbara and I stayed in. The bathroom was an outhouse about 50 paces away. HEADS UP: Late last year, contributor Joel Simpson was kind enough to share some pointers about traveling in the developing world. (Read his profile on the “About VP/[Contributors tab,” http://www.bit.ly/1tzS8VW]) He did 12 countries! We promised pictures, and they (from nine countries) will be rolling out every other Sunday through around mid-April. Dear Travelers, get ready to have your breath taken away. GOING to Mongolia? Why, yes … it’s a fascinating, friendly and relatively inexpensive place to visit. 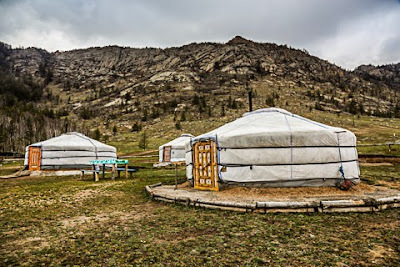 In six days my travel companion, Barbara, and I, managed to see spectacular mountain scenery, sleep three nights in three different yurts, the circular, all-weather tents one sees everywhere. We would also traverse the Gobi Desert in a Land Rover. We ended our visit on a spectacular river of ice in a foggy canyon. Food was challenging and bathrooms even more so, but it was worth it. Vietnam is another story. Dense with culture, excellent food, non-stop commerce that spills into the streets, it is a rich treat. We stayed in that part of Ho Chi Minh City that is like a huge outdoor-indoor Wal-Mart. A group of young people I encountered at Yolyn Am, Mongolia. 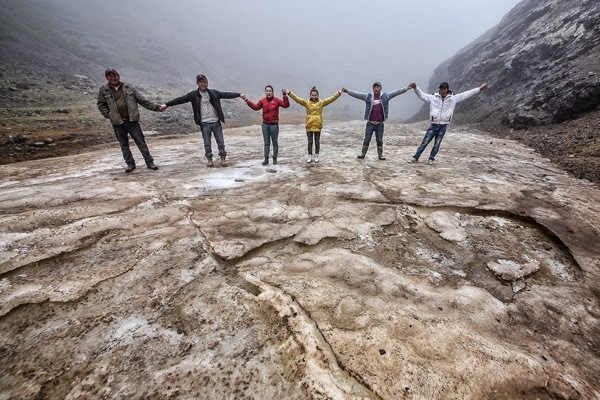 The river of ice in the Gobi stays frozen until July. 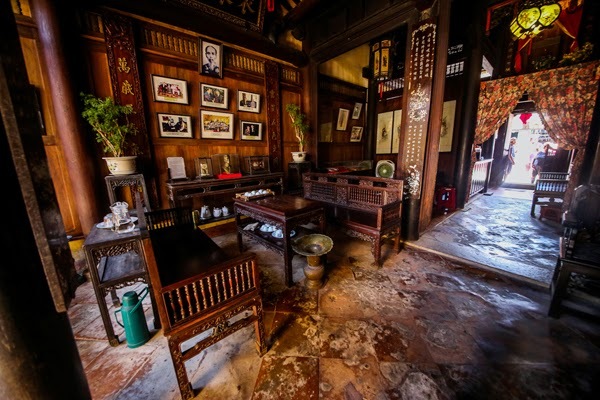 Among discoveries is the narrow and wide waterways of the Mekong Delta that make it look like Southern Louisiana. Many Vietnamese have settled there. Hanoi was our favorite city – and apparently is everyone’s. Its parks, statues and museums enhance its smaller, almost walkable, scale in contrast to the huge metropolis of Ho Chi Minh City. In one afternoon we would visit the amazing Surprise Cave, climb 400 steps to a scenic view and embark on a 45-minute kayak paddle. 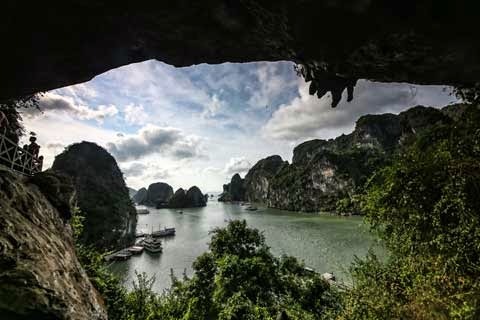 View of Ha Long Bay from inside Surprise Cave in Vietnam. Interior of one of the historic houses in Hoi An, Vietnam. 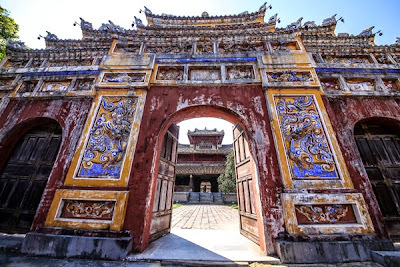 One of the many mosaic gates made of broker crockery at Hué’s Imperial City, the Citadel (Vietnam).